Lane Johnson is going down swinging. Philadelphia Eagles right tackle Lane Johnson grew up in East Texas, in a town about 175 miles from Dallas. His family lived closer to Houston, but the Oilers left for Nashville and the Texans were an expansion team. The Johnsons are Cowboys fans and Lane just has to deal with it. Last year was tough for Johnson, who missed 10 games due to suspension and had to watch Dallas dominate the NFC East on their way to a 13-3 season. His family loved it. It's fine to shrug off your dad, your mom, brothers and sisters, uncles and aunts. Who cares if they support your professional enemy in a game that pays you top dollar? But if it's your grandma, that hurts. She's supposed to talk you up and praise you for stuff you didn't even do, not cheer on the Cowboys while you proverbially sit at home on the couch. In a locker room interview ahead of the Eagles' Sunday night matchup with Dallas, Johnson noted his grandmother was rooting for the Cowboys in the playoffs last year. He told her he wouldn't stand for it. The sweetest revenge, in this case, would be an Eagles Super Bowl victory. 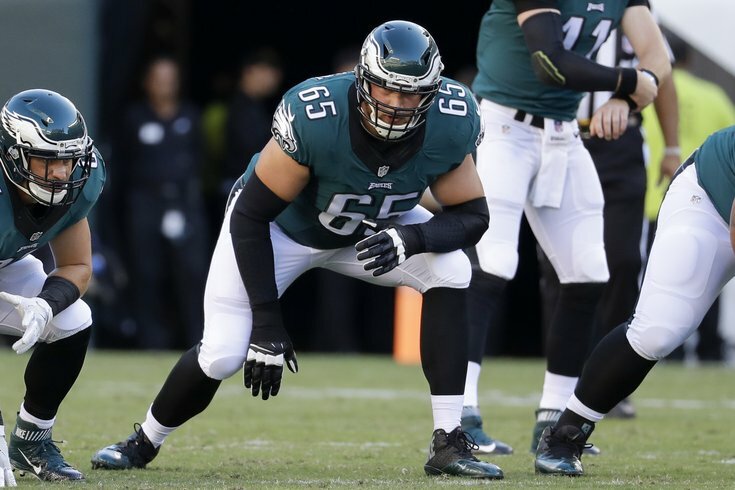 And Philadelphia can thank Lane Johnson for the free beer we'll get if the team can make it happen.